Actor Kal Penn’s reps have confirmed that he will be leaving his post as Barack Obama’s associate director of public engagement to begin filming a new Harold & Kumar movie this June. Penn left Hollywood and his leading role on the hit show “House” to work for the White House 9 months ago after campaigning for Obama at colleges across the country. 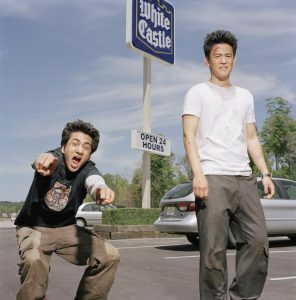 The third installment of the stoner comedy franchise, “A Very Harold and Kumar Christmas”, will have a Christmas theme and might also be filmed in 3-D. It’s expected to be in theaters sometime in late 2011. Newcomer director Todd Strauss Schulson will take over for original creators Jon Hurwitz and Hayden Schlossberg who will be working on an untitled “American Pie” reboot. No word on whether Neil Patrick Harris will be resurrected in the new movie.